“I know nothing else but Greece. I have never been to Nigeria. You are not born a Greek, you become a Greek,” Giannis Antetokounmpo said at the Onassis Cultural Center with his 24-year-old brother Thanasis at his side. 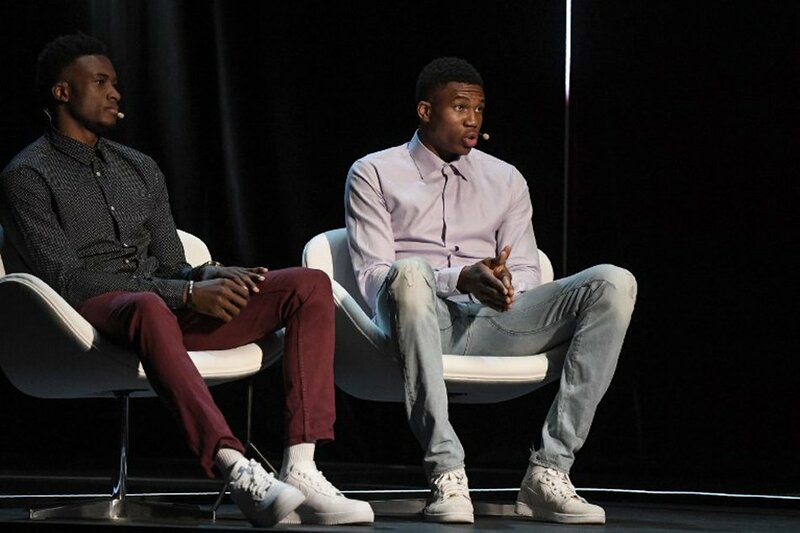 The two brothers are the pride of Greece for their accomplishments in basketball, but things did not start off easy for the Antetokounmpo family – something which they do not forget. The basketball stars are children of Nigerian immigrant parents who came to Greece in search of a better life. Giannis, who signed a $100 million four-year contract with the NBA’s Bucks last year, spoke of his parents’ sacrifices and struggles when they were younger in their early days in Greece. “There are many people who have gone through tough times, but you still have to look for the light. Our parents taught us not to be selfish, to be honest and sincere,” Thanasis, who plays for the Spanish club MoraBanc Andorra, added. The brothers are set to play for the Greek national team on Sunday in Athens to a sell-out crowd of 18,000. “Greece loves us because we are good guys. We promote Greece wherever we go,” Giannis said.